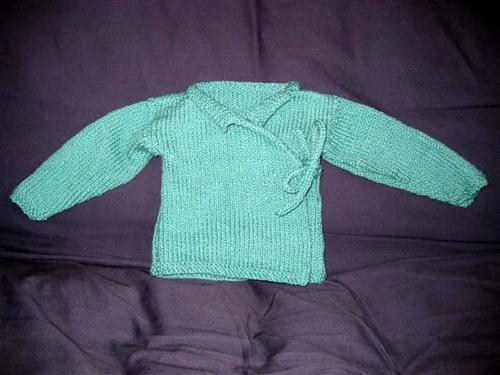 I made the Baby Yoda Sweater [pdf] for a friend’s baby that will arrive in March. It was knit from Mission Falls 1824 Cotton 100% cotton in color #303 on US 6 needles. The size is 0-6 months. I changed the inside ties to crochet chains instead of i-cords since I thought the cords would be too bulky.